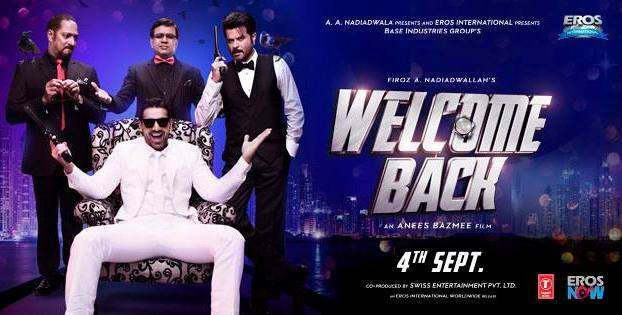 Welcome Back started collecting decent amount from its release day, in just three days film managed to collect 90 crores worldwide and than the film entered top 10 highest grossers list of 2015! Anees Bazmee directorial collected 51 crores on domestic box office in its first weekend and now it stands with around 74 crores of BO collections. Anil Kapoor, John and Nana Patekar starrer film is all set to enter 100 crore club. Well, just today Hero got released but it won't affect business of Welcome Back because both the films have their own standards! Welcome Back has a well known star cast, on other hand Hero has newcomers but, the film is hardly promoted by Bollywood's Bhaijaan! Let's see how much time it takes Welcome Back to collect 100 Crores?